I first encountered Sheila in the mid 1980’s during a ‘tea break’ in the bar of the celebrated tennis club situated very close to the BBC’s Maida Vale studios. I had only recently left Music College and had been invited to come to a Big Band Special recording by the BBC Big Band’s lead trombonist Gordon Campbell. At first glance Sheila seemed slightly out of place amongst this bunch of typically irreverent jazz musicians – she was impeccably turned out and had more than a touch of the Margo Leadbetter’s about her. But I quickly learned a lesson in appearances being deceptive – she asked plenty of questions about who I was, what I was up to and was obviously very knowledgeable about big bands and their music. Fast forward to 1995; by now I was a BBC producer based at Pebble Mill in Birmingham and had just taken over the production of Big Band Special from Robin Sedgley. For me this was a big deal – and something I really didn’t want to make a mess of! Having Sheila as the presenter made my job infinitely easier. She researched and wrote her scripts – always timed to perfection – and had that wonderful radio voice that was so easy to listen to and held your attention. But I think Sheila felt she had really come home when Big Band Special took to the road from the late 1980’s onwards. Treading the boards of various theatres up and down the country was undoubtedly in her blood – and returned her to the world she had previously loved so much in her Ivy Benson and Tracy Sisters days. Sheila was ‘a performer’ and always dressed to the nines. I would return from doing a recce at a forthcoming venue and get a call from Sheila asking what it was like. ‘Well, it’s got a nice big stage and the PA system is OK’ I would opine before being quickly told that she wasn’t interested in all that – Sheila wanted to know what colour the seats and drapes were so that her stage outfit wouldn’t clash – another lesson learned! She also used to memorise her scripts for those live outside broadcasts – Sheila did not want to be seen hiding behind sheaves of paper on stage. And this was no mean feat – this involved starting the concert 15 minutes before going on air, negotiating a junction out of the news before steering the show to finish exactly on time. An impressive feat but one that required lots of work on Sheila’s part – woe betide the person who interrupted her as she rehearsed her lines at the side of the stage whilst the band was performing! There were also those occasionally chaotic episodes including the live broadcast one night from Sunderland Empire. Sheila introduced the guest soloist with the words – ‘and here she is, that exceptionally fine jazz singer – Norman Wisdom’. Silence from the auditorium and 18 musicians unable to play – mainly because they were all suddenly so intent on shouting ‘ooh Mr Grimsdale’. This was followed by the emergence of a slightly bewildered Norma Winstone who wondered what on earth was going on – she later saw the funny side! Sheila was also the long serving presenter of Radio 2’s National Big Band Competition. True to form she wouldn’t just show up for the Winners broadcast – but always attended the judging session and took a genuine interest in what the next generation of musicians were doing. 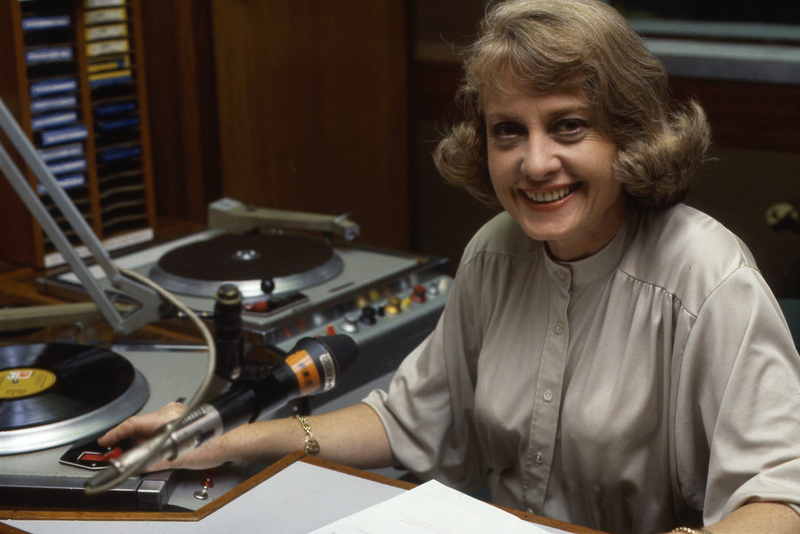 After her departure from Radio 2 in 2001 Sheila continued to broadcast in those wonderful tones on Saga, Primetime and Pure Jazz Radio. All that as well as lecturing on cruises, interviewing many of the greats of the big band world and not forgetting her trombone playing – there was never a wasted moment in Sheila’s world. 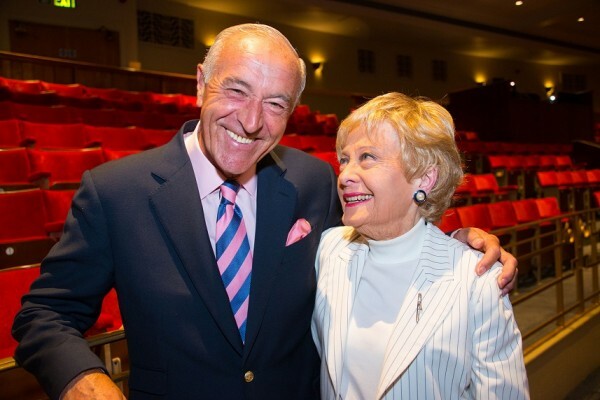 For me it was a privilege to know her, to work with her and to learn from her – thanks for everything Sheila…. Sheila Tracy – gets a ‘ten’ from Len!